I have another Quilt of Valor in the frame. 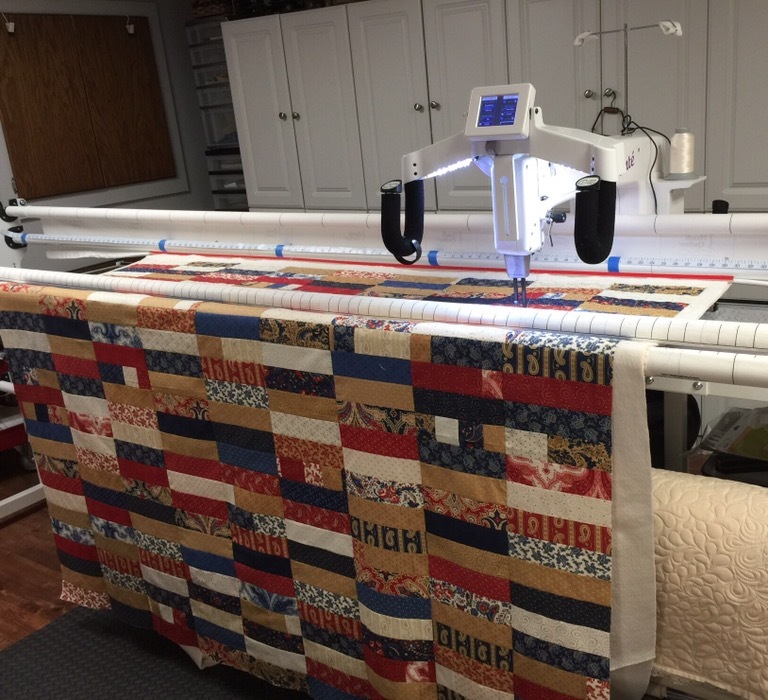 This entry was posted in Quilt of Valor, Sewing Colectibles. Bookmark the permalink. That looks like a fun quilting pattern! Another great quilt, Katy! 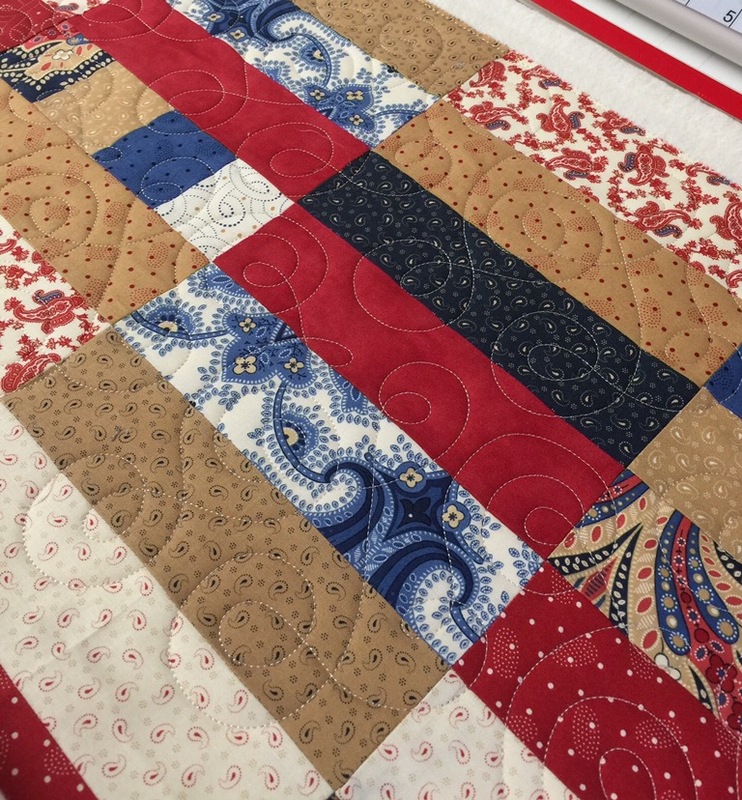 Love the quilting design you are doing!